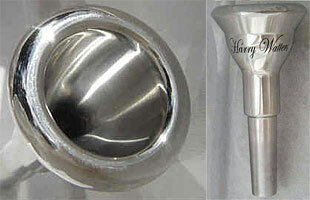 Giddings and Webster Mouthpieces are producing a new Harry Watters Signature Model trombone mouthpiece. The superb craftsmanship exhibited by Giddings & Webster represents a huge leap forward in mouthpiece production. Ivan and Bob are true artists who pay meticulous attention to all design details. This new Signature Model mouthpiece provides excellent response, unequaled flexibility & unparalleled comfort in every performance scenario. For more information and purchasing details visit the Giddings and Webster website.